Sacramento, California. October 24, 2012. The California Public Employees’ Retirement System (CalPERS) Public Employer Readiness Team (PERT) was honored by NASCIO with the State IT Recognition Award for Cross Boundary Collaboration and Partnerships during the NASCIO annual conference in San Diego on October 21st 2012. 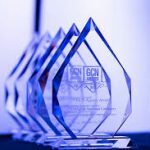 Delegata, a leading Sacramento-based management and technology consulting firm, congratulates its long-time client and partner in this project, on the receiving this award. CalPERS is the largest pension program in the nation with assets of approximately $235 billion. The Public Employer Readiness Team (PERT) outreach project was created to operate in parallel to my|CalPERS, a new self-serve web-based application that enables more than 3,000 employers and 1.6 million public employees to quickly and easily access and manage their own retirement and health benefits online. PERT’s task was to ensure that the voice of the customer was heard during the design, development and preparations of my|CalPERS and to generate commitment, enthusiasm, and readiness for the change. PERT used cultural change management best practices and conducted a coordinated series of campaigns to involve employers and business providers in each phase of the my|CalPERS project. PERT was critical to the success of the $500 million my|CalPERS project by ensuring that stakeholder requirements were incorporated into the system and that stakeholders had the awareness, desire, knowledge, and ability to use my|CalPERS. Delegata and CalPERS have a long history of successful partnerships. On the PERT project, Delegata worked with CalPERS to apply Delegata’s “Manage Constituent Communications” Methodology and other components from our Organization Change Management solution library. This approach enabled the team to build and maintain effective communication, education, and transition support guiding over 3000 business partners through a complex transition process. It included new business processes which facilitated communication; new formats for electronically exchanging information with CalPERS; and comprehensive training in the forms of readiness guides, educational sessions, webinars, and Town Hall meetings to further prepare the business partners. “Delegata is very proud of the achievements gained for California through our long-standing partnership with CalPERS,” stated Kais Menoufy, Delegata President and CEO.